Who, what, where, when, and how? Flights stream into Costa Rica from the far reaches of the planet, connecting the world’s travel aficionados to this Central American hotspot. Learn which companies fly to Costa Rica, where to find the easiest and most convenient connections, and how to get going once your vacation has reached its end. Finally, you got your awesome vacation deal and you’re heading out on your vacation to Costa Rica! Next up is to book your flight. The last thing you want to endure when traveling are connecting flights or layovers. Despite being such a small country, Costa Rica has two major flight hubs—Juan Santamaria International Airport (SJO), located about 20 minutes from the capital of San Jose, and Daniel Oduber Quirós International Airport in Liberia (LIR). Costa Rica’s two main international airports—with flights coming in mainly from Europe, North and Latin America—bring travelers from all over the world. Juan Santamaria Airport, just 14 miles from San Jose downtown, is the second busiest airport in Central America, with over 15 international airlines that serve over 4 million passengers annually. Daniel Oduber International Airport has smaller capacity, but is located in Liberia, the capital of one of the most popular vacation destinations in Costa Rica with numerous accommodation options: the Guanacaste region. In 1930, during the administration of president Cleto González Víquez, the first international airport was inaugurated in La Sabana Metropolitan Park, in San Jose. This airport worked for the next 44 years getting flights mainly from Central America until “El Coco” Airport was inaugurated in 1958. “El Coco” later became the “Juan Santamaría International Airport” (SJO), named after the Costa Rican hero who died in 1856 defending his country. The other international airport in the country is Liberia (LIR) – although the airport was inaugurated back in 1995, its demand increased considerably until 2006. The airport was named after former Costa Rican president Daniel Oduber Quiros. Two of Costa Rica’s domestic airlines, Sansa and Skyway, have their main hubs in San Jose at the Juan Santamaria International Airport. However, Skyway also has another in Liberia, Guanacaste. They both also have connections in different parts of the country, running “puddle jumpers”, small single or double engine propeller planes holding 16-19 passengers, with the purpose of landing at small, remote airstrips. Flying in Costa Rica has its advantages and disadvantages. The main advantage is speed. Getting to another part of the country in 30-45 minutes certainly beats hours on Costa Rica’s windy, potholed roads. Prices are reasonable and the views spectacular. There is definitely some Graham Greene-like romance about waiting at the side of a remote jungle airstrip for the plane to come in! The disadvantage of traveling by plane in Costa Rica is the small luggage allowance per person. These are small planes, and as such there is a limit of between 25 and 40 pounds per person (depending on airline and type of ticket). If you are the type of traveler who brings the kitchen sink with you, flying is not going to work. You can pay extra to bring more luggage, but unfortunately, these planes sell tickets right up to the last minute, and if your plane is full, and each passenger has their full luggage allowance, then your extra gear will more likely than not, not be allowed on the plane. Best to travel light! Luckily Costa Rica is tailor made for traveling light – all the tourist really needs are shorts and t-shirt. A great compromise is to split your transportation between land and air in order to see the best of this beautiful country. Finally, keep in mind when booking an internal flight that most are routed through San Jose. This means if you are going from one remote airstrip to another you will likely have at least one stop in the capital—sometimes more along the way—before heading to your final destination. With this in mind, flying—depending on your departure and destination location—may not be much faster than ground transportation. Be sure to ask your Travel Consultant about this when planning your vacation. Costa Rica is a small country, but driving distances are pretty long because of the bad conditions of some of the roads. Even though the drive might be scenic and pleasant, some people really prefer to fly to save time when going from place to place. There are two domestic airlines which offer flights all over the country: SANSA and Skyway. The first one is a division of a larger airline called TACA which flies all over Latin American and the USA, while Skyway is exclusively for Costa Rica, and it also offers a destination in Panama. There are also a series of local private companies that charter planes all over the country as well. The local airports in Costa Rica are usually small airstrips without any facilities for the passenger. None of them are real “terminals” but hangars. Since both SANSA and Skyway use small aircrafts, these flights rarely have flight attendants. Passengers have to wait for their flight at the hangar, and once the aircraft lands, the pilot or co-pilot himself helps the passengers with their luggage. Only three of the airports listed below offer real terminals – those are: San Jose Intl. Airport, Liberia Intl. Airport and Pavas Intl. Airport. Here is a list of the most popular airports / airstrips in Costa Rica, and which airline or charter flight company services them. Both SANSA and Skyway have their main offices in San Jose, and there are a few destination towns that have a small office to issue tickets. Reservations are mostly made via internet. The Costa Rican Government has a plan to develop another larger international airport in Palmar, but this is only in its initial stages. Costa Rica has the second most popular airport in Central America (after Panama City) and many people who travel on vacation to Costa Rica start their journey here. 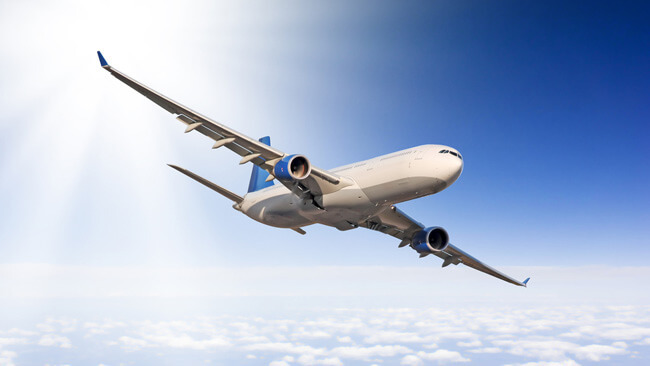 As a result of the large number of flights landing in San Jose every day, it’s more likely that you will find discounts and special offers on your plane tickets. Predicting airfare is practically impossible, given that prices fluctuate almost daily, although it’s safe to say that depending on the season, you might be able to find some truly great deals. As with plane tickets to anywhere in the world, it’s always recommended that you start researching at least two months before your trip, given that prices increase as the flight date approaches. Several discount airlines like Spirit and JetBlue often have low prices on tickets to and from San Jose (although their departure and arrival times aren’t especially accommodating). With some luck you might even find some great deals with American Airlines or US Airways. We recommend that, when possible, you explore online resources like Kayak.com or Google Flights and create email alerts letting you know when the prices increase or decrease. Of course, sometimes you might be extremely lucky and find a one in a lifetime kind of deal; back in 2011 for one day only, round trip airfare from Toronto to San Jose hit an all-time low at $250! Don’t rely on such specials to occur all the time though. Limited time deals are becoming more common. Avianca and Copa Airlines have been known to have blow-out offers occasionally with flights from LAX to SJO getting as low as $230. However, with these deals time is of the essence because once they’re gone you’re out of luck. A more reliable, albeit less exciting, way to score a cheaper flight is by looking for weekday flights. Time of year will also play a role. High season in Costa Rica runs from December 15 to April 30; airline tickets usually become more expensive during this time, specifically over Christmas week, when Costa Rica hits its peak vacations season. Low season is between May 1 and December 14th, and even though tickets are considerably less expensive, the frequency of the flights also decreases.